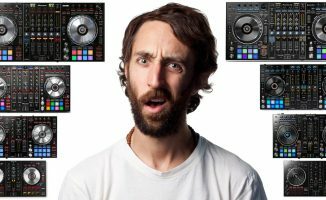 We pit two Pioneer DJ controllers, the DDJ-SB2 Serato DJ controller and the DDJ-RB Rekordbox DJ controller, in our first ever Head To Head comparison feature. There’s no shortage of entry-level controllers for the beginner who wants to step up from his or her “toy” controller onto something with a more professional feature set and look. Pioneer DJ has been prolific in the DJ controllers arena, making everything from casual devices (eg the DDJ-WeGO series) to all-out pro kit that rivals what you’d see in club installations. In our first Head To Head feature we stack up two of its most popular “serious beginner” controllers: the DDJ-SB2 and the DDJ-RB. The biggest difference between the two controllers is the software that they work with. 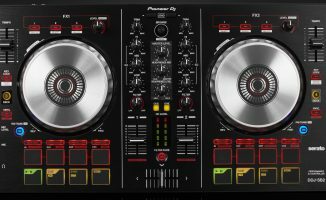 The DDJ-SB2 was originally meant to work with Serato DJ, but when Pioneer DJ released Rekordbox DJ a few years back, it extended the DDJ-SB2’s compatibility list to include it. The DDJ-SB2 also works with Virtual DJ 8, djay Pro and Traktor Pro 2. The DDJ-RB, on the other hand, does not work with Serato DJ. Pioneer DJ released it to be a Rekordbox DJ-specific controller, and was one of the first controllers that started Pioneer DJ’s shift away from Serato. Apart from Rekordbox DJ, it also works with Virtual DJ 8, djay Pro and Traktor Pro 2. Takeaway: The DDJ-SB2 has the most software versatility. If you want to spin with Serato DJ, go with the DDJ-SB2. 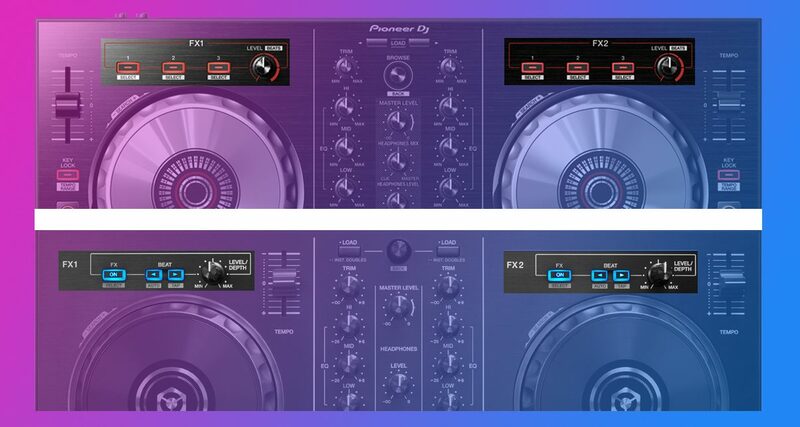 Pioneer DJ introduced the Filter Fade crossfader effect with the original DDJ-SB: it engages a high-pass filter automatically when you move the crossfader from left to right and vice versa. It was somewhat gimmicky and unnecessary (after all, twiddling a filter knob is one of the fun parts of DJing). The DDJ-SB2 has the Filter Fade onboard if you’d like to use it (or perhaps map the button to some other more useful control), while the DDJ-RB doesn’t. Takeaway: Though the DDJ-RB doesn’t have Filter Fade, the lack or presence of this feature is hardly a deal breaker. While the DDJ-SB2 looks like it has eight performance pads per deck, they’re actually just four performance pads and four transport control pads. The DDJ-RB has eight true performance pads – this is one of the big reasons some DJs choose to go with the DDJ-RB. Takeaway: The DDJ-RB wins when it comes to performance pads. If having eight pads is important for you, pick the DDJ-RB. The DDJ-RB packs its own manual Loop In and Loop Out buttons, but the DDJ-SB2 takes Loop control a step further by having Manual Loop and Auto Loop pad modes onboard. Auto Loop means that you can potentially set loop points much quicker with the DDJ-SB2, though at the expense of having to select it as a pad mode first. Takeaway: If you’re heavy on setting eight-bar or 16-bar loops, and you want them set quickly, go with the DDJ-SB2. Otherwise, the DDJ-RB provides basic looping buttons (including a four-bar auto loop). The DDJ-SB2 has an FX section that lets you toggle up to three software effects per deck. The DDJ-RB lets you switch a single effect on/off, but then comes with “Beat” buttons that let you further tweak parameters. It also makes up for the lack of FX section buttons with the Pad FX mode (more on that below). Takeaway: Do you like having hands-on control of different effects? The DDJ-SB2 is for you. If you want deeper control over a single effect, the DDJ-RB might be the better choice. The DDJ-RB takes full advantage of its eight performance pads by having Pad FX and Slicer pad modes onboard, something that the DDJ-SB2 lacks. Slicer isn’t that crucial, but Pad FX mode is a big one: it lets you trigger and toggle a host of more articulate and advanced effects within Rekordbox DJ, such as gated delays, echo freeze, and filtered reverbs. Takeaway: For the effects-hungry, the DDJ-RB goes further than the DDJ-SB2. If that sounds like you, this may lead to you picking the DDJ-RB over the DDJ-SB2. When cueing up a track or beatmatching, you’d want to be able to control what you’re hearing in your headphones. A Headphone Cue Mix knob lets you adjust the volume of your cued deck versus the Master output, and makes for a better headphone monitoring experience while mixing. The DDJ-SB2 has this knob, while the DDJ-RB doesn’t, having onboard a “Cue Master” button instead that brings the Master output into your headphones at full volume. You will not be able to adjust the mix between the Master and the cued up track. For some this may be a potential deal breaker, as DJ mixers and controllers usually have a Headphone Cue Mix knob. Takeaway: The DDJ-SB2 has a better headphone monitoring experience overall. The DDJ-SB2 has deck selector buttons, allowing you to control decks 3 and 4 in Serato DJ, while the DDJ-RB doesn’t. That means you’re stuck with two-deck mixing. Verdict: If four-deck mixing is important for you, go with the DDJ-SB2. 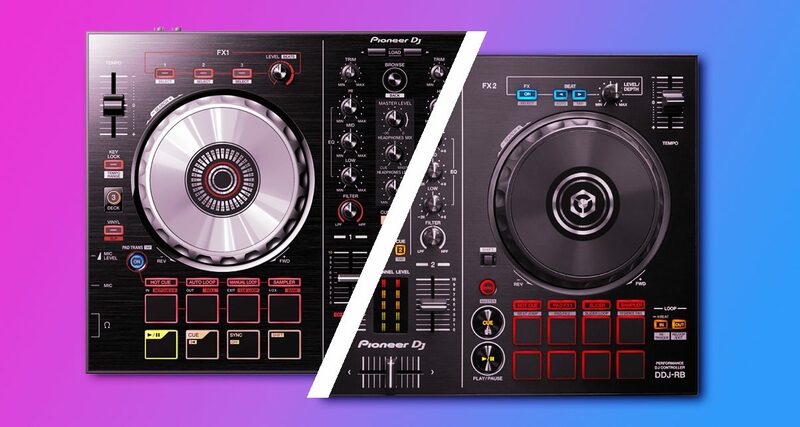 We’ve just listed the main differences between the Pioneer DJ DDJ-SB2 and DDJ-RB controllers. 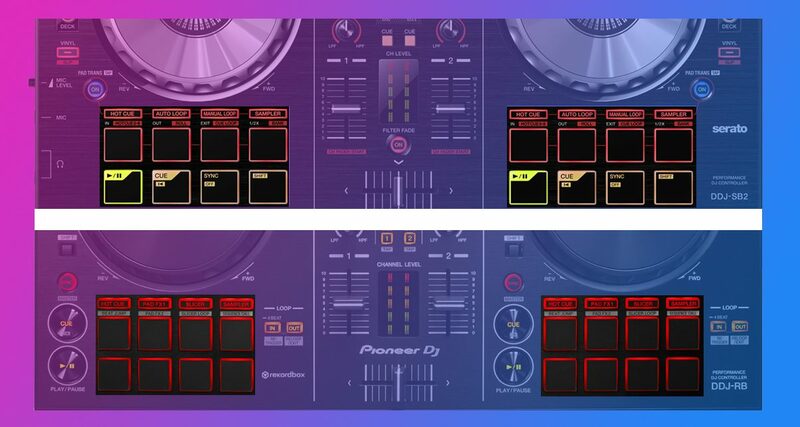 Ultimately, your choice will hinge on whether or not you’d want to DJ with Serato DJ (go for the DDJ-SB2). Another plus for the DDJ-SB2 is the ability to control four decks. For the DDJ-RB, the eight performance pads and Pad FX are the biggest draws. These, plus the fact that the DDJ-RB is newer could be enough reason for some to pick it over the DDJ-SB2. Sure, you can still use the DDJ-SB2 with Rekordbox DJ, but you’ll be missing out on the full pads. These are both good controllers, and so you won’t go far wrong with either. 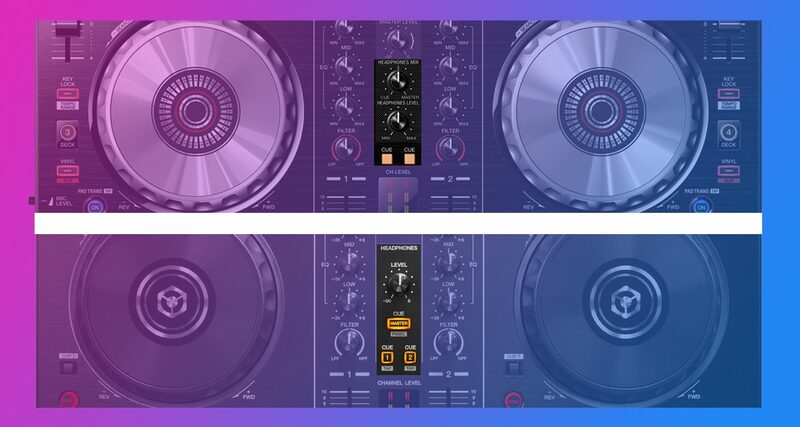 Hopefully this article has helped you decide which may be better for you – but if you’re still undecided, take a look at our Pioneer DJ DDJ-RB Review and our Pioneer DJ DDJ-SB2 Review for the full lowdown. Which of the two would you rather have in your DJ set-up, and why? Share your thoughts below. 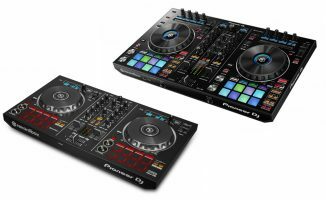 Your Questions: Difference Between Pioneer DDJ-R and Pioneer DDJ-S Controllers? 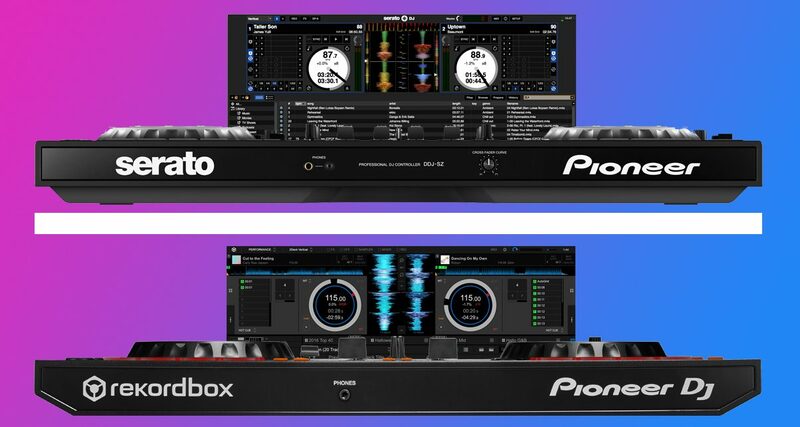 I think you missed one of the biggest things on the SB2 vs. RB – the fact that the RB comes with a full version of Rekordbox DJ ($100+ value) whereas the SB2 simply comes with Serato Intro. Having fully functioning software out of the box is a huge value. I have the SB2. I know a lot of DJs diss these “entry level” controllers, but as a strictly mobile DJ, I have found it to fit perfectly for my needs, with no real reason to upgrade – unless Pioneer upgrades to LED jog wheels. Thanks Joey! I have kicked around the idea of using Rekordbox, but I have absolutely loved using djay Pro. It works flawlessly with the SB2. Personally I use the sb2. I’m a mobile dj it fits In to my backpack with my laptop and hard drive. Great review! 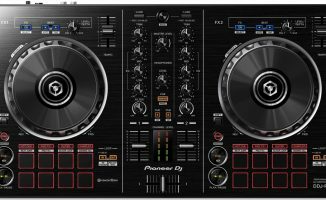 I’m new to DJing and was thinking on buying a new DDJ-RB, but I found a used DDJ ERGO V at the same price, and I know it’s older, but it seems to me that it has more functionalities than the RB. Am I right or am I missing something? Which one would you recommend for a beginner? Thanks for the comparison. I am so confused between DDJ SB2 and DDJ RB. Only my point of concern is, the headphone cue mix, as I’m a beginner, will it be that though to mix it without headphone cue mix. I personally like DDJ RB. Let me know your comments on this. Choose whether you want to go with Serato DJ software or Pioneer DJ software, and base your decision on that. Both will work fine with your headphones and for mixing. Hi! I’ve got a question: SB2 comes with Serato Intro, which is NOT a full version of the software, and RB comes with Rekordbox, which IS a full version of the software?